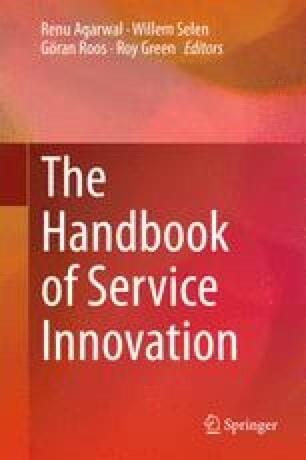 This chapter addresses the management of the service innovation process in the public sector. Traditionally, innovation activities have been viewed in economic terms as the allocation of resources to innovation, while scholars have consigned the innovation process itself to a “black box.” Service users and frontline staff are the most common sources of innovation in the public sector. Service co-design and co-production, in consultation with citizens, is a radical method of public sector renewal. This chapter discusses how the local government sector can use change management to better benefit from user-driven innovation in public sector renewal, with examples provided from the United Kingdom, Denmark, and Finland, who are pioneers in user-driven innovation. In addition, these new forms of user-democracy are linked to budgeting and decision-making routines related to public services. Empirical data were drawn from the Finnish Customer-oriented Service Network Project in Helsinki, referred to as the Lauttasaari Project, which is discussed in detail in terms of change management, decision making, and innovation management.